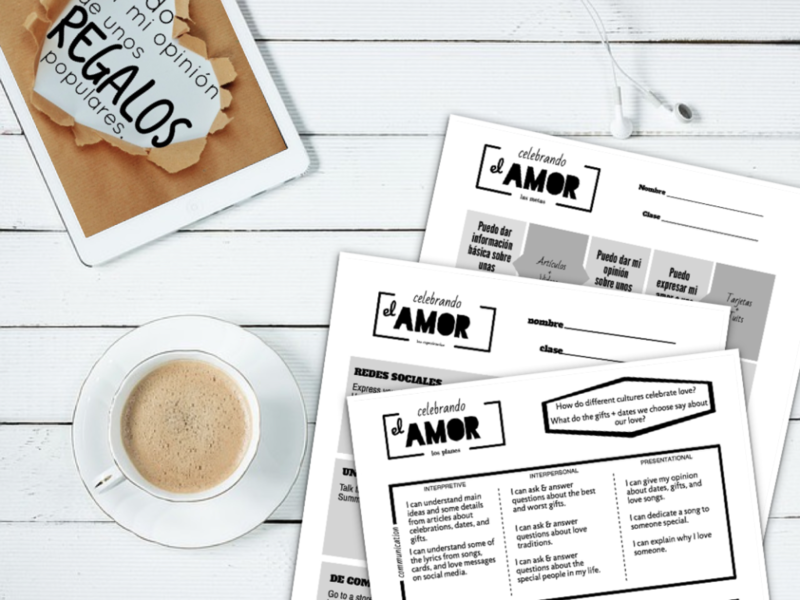 Starting with authentic resources is great for helping students find new vocab, ask questions about culture, and stay in the target language. I’ve also found that using authentic resources helped me plan better ways to assess learning. That’s step 3 – Authentic tasks and assessments. Here’s another Valentine’s day example of how to start with authres. If the focus is love – what better place to start than with love songs! 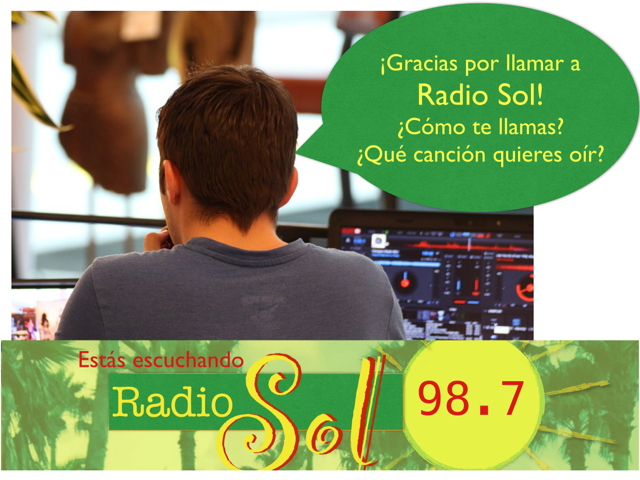 I learned so much Spanish on my own listening to the radio while studying abroad in Spain. Chayanne was my favorite teacher. My Dominican friend tells me that Madonna was her reason for learning English. Our students love music, too. I don’t have to pre-teach specific vocab or stick with only one song. I want each student to listen to what motivates them. They learn by starting with what they already know and seeing what they can figure out. It’s fun to kick off the lesson with just the lyrics (authentic resource #1). It’s like a blind audition. Most students have no idea what the artist looks like or what genre of music the songs are. 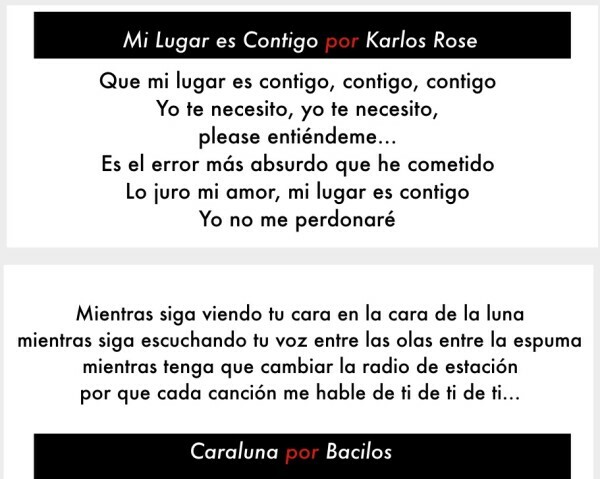 I came up with a big list of my favorite Hispanic love songs and pulled pieces from the songs like the two below. They looked for what they knew – descriptions, phrases, and love vocab – and tried to figure out the themes and predict the genre of the songs. Next, we added a visual to better understand the lyrics – the music video! (authentic resource #2) What do people do after listening to new music and watching music videos? They usually give their opinion of it. It might be written – in the form of a comment on social media or talking to a friend. Our next move was a written review. It gave students a chance to figure out what they thought and how to express those opinions using language that they know. Now students have had time to investigate the lyrics, listen to music, and generate their own opinions. This is the perfect time for an interpersonal speaking activity. Find out how your classmates rated the same song. What’s their opinion and why? Next, it’s time for them to connect the meaning of the song to their own life. What song speaks to them? Who does it remind them of? While dedicating a song can be a little cheesy, it’s perfect for Valentine’s day! So radio shout-out/song dedication it is! 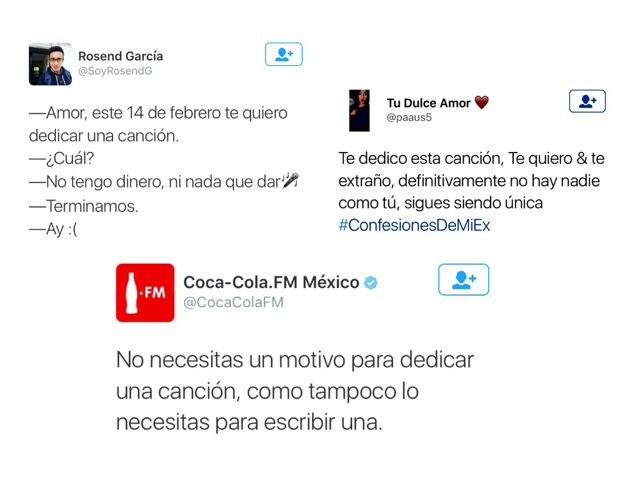 Here are a few tweets about the topic (authres #3). So now it’s their turn. Based on the songs lyrics/videos they saw earlier – Which song would they dedicate to their special someone and why? This lesson requires a knowledge of culture (songs and lyrics), gives them a reason to communicate, and a purpose to connect the culture to their own lives. Forget the Superbowl… that’s a win! I LOVE the connections here and music is definitely a natural step when talking about looooooove. I think I’m gonna have to buy this lesson just for your awesome opinion sheets! Thanks for sharing! I teach middle school and I was get paranoid about students searching for the songs on YouTube and getting backlash from it. Any suggestions on how to handle this? For example, a Prince Royce video with a lot of girls or kissing or the unedited “Me gustas tu” version. I always think they are going to come back and say something about it. I always post the videos on my site and have them watch and listen there, but…just curious if you have had an experience with this. Thanks! Love the site! Thanks, Jessica. You know your students/school situation best. Some of the videos may not be suited toward middle school students. Here’s how I would adapt this for middle school. Have students read all song lyrics, but only show 3 videos (of your choice) for them to review. 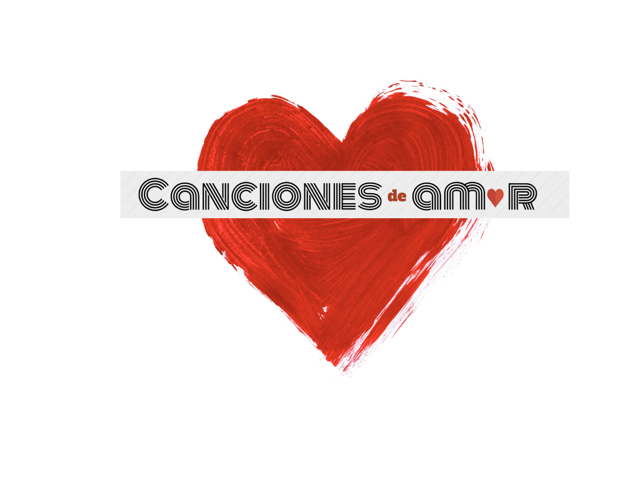 I want to purchase the canciones de amor but I cannot find it on TPT … I like TPT because all of my purchases live there and I download them as necessary (every year when I need them … ) I am wondering if your site allows the purchasers to have their own purchases that they can repeatedly refer back to? Please advise. Love the ideas here, love all your super creative and wonderful ideas! To Jessica above, I recommend playing the videos from your computer to the class as a whole instead of individual students searching for songs on their own, there is simply too much on you tube that is not appropriate for our students … hope that helps, that’s how I handle it! Yes, our site allows stores your downloads in an account you can access with your email. You can log in and re-download anytime. I did put the “canciones” lesson on TPT today too, if that’s easier for you. Thanks, Bianca. Muchas Gracias Megan and I hope you enjoyed a fun filled Valentine’s day! Hmm, You Gals are the BEST ~ thank you for the response! I am so grateful for your posts! You always have such wonderful ideas! I do have some questions that I am hoping you can help with. My department is currently trying to rid of our textbook and just focus on Authentic Resources. My question is, when you are teaching a unit, how do you incorporate grammar into it? I don’t want to teach it outright, but I do feel like the students need some instruction in order to form sentences. I have been teaching for 8 years, and even during my student teaching, used a textbook. I would do my best to “wrap up” the grammatical point into my topic. However, I really dislike how claustrophobic I feel with a textbook… there’s very little wiggle room, and sometimes nothing in the chapters make sense together! I want it to be more authentic and real world. Sorry for the long post! I am looking forward to your response! I understand how you feel. I had the freedom to move away from the book and found with comprehensible input (from me and authres like music, magazines, websites from around the world, ect.) they didn’t need the grammar “lessons”. However, in the upper levels they needed a context to learn grammar and sometimes I would teach a MINI lesson if they needed that quick explanation. I just recently wrote a few posts about my take on grammar. I think we need to be sure students see and practice grammar with a real life communicative situation. For example: I teach commands on a unit that is about hispanic games. 1.) They read directions in target language and figure out how to play. 2.) I teach a MINI lesson (5 min) on commands (informal). 3.) They have to teach someone else how to play a new game. Then they practiced it with another skill. They made “how-to” videos on something they were good at. (how to take a good selfie, how to throw a football, how to play poker) and we did a sort of gallery walk watching the videos and practicing a new skill! Here’s the other posts in you want to check them out and maybe share them with your department. I think lots of teachers feel the same way as you… they want to move away from TOO much grammar but can’t figure out how! Let me know what you think! Thanks for your response, Megan! I did read the grammar information, and I am motivated by this to try some new things out with my upper levels. At the lower levels, without any grammar instruction, what would a lesson/unit/class look like? I definitely don’t include grammar every day, or I am incorporating points they already know. But, I am just a little unsure of how a classroom would look without those structures? Do you teach them as vocabulary/functional chunks for what is most useful for that topic? I would love to see a sample class/lesson/unit. I really appreciate you taking the time to respond and answer my questions. We have a lot of wiggle room here as well, so really, we don’t want to use a textbook. We are in the process of trying to completely get rid of it. This would actually be perfect for my department. I am all about comprehensible input, and really I want to use realia. I have been following this conversation and wanted to give my .02 about TPRS, I used to use it quite a bit, but I found that it requires a lot of teacher speak and is therefore not a great tool to employ in any large way. I love it for short simple quick little things like teaching the prepositional phrases. The CC goal around language production is 100% of our students will speak or listen to each other, that is a super important point, listen to each other, not the teacher, a video or anything else, 50% of every class period. So scaffolding for that much language production and figuring out how to lower the affective filter is really the challenge I am thinking about these days and TPRS does not allow me to meet these targets. I agree, Bianca. I am not a fan of TPRS. I use it minimally for certain topics, but I find that me talking for so much of the period actually makes me uncomfortable and does not fit in with my teaching style. I was hopeful that Megan would not be using TPRS. It doesn’t seem that way, but I wanted to clarify that this wasn’t it. Nope, no TPRS for me. I’ve seen it used well but it’s not for me. I like students doing more and responding more in their own voice instead of so much retelling. Again, it works for some but I only use story telling in a few specific lessons. A unit without much grammar is about… well… communication! 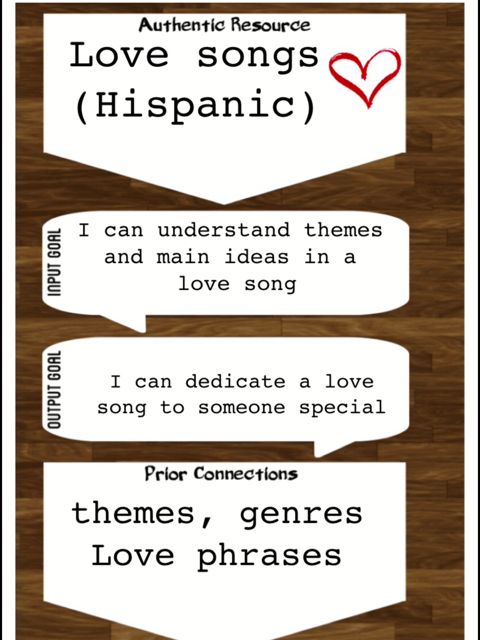 I had set topics to teach (activities, art, restaurant…) so I picked a cultural topic that supported it and started the unit teaching about the culture (in the target language). For the sports unit, we had goals like… I can tell basic info about famous Hispanic athletes. I can compare different athletes. I can tell my favorite sport and why. I introduce 3 Hispanic athletes and they read about them, watched a few YouTube videos, and we talked about them. Then they researched their own, found their own authres, and made a video about their athlete. They picked up new vocab on their own from the authres, and put it together at their level. They picked up on phrases like “he plays” and “she won” and “he was considered…” on their own. AFTER their assessment, I spent some time in small groups and gave them all feedback on how to reach the next proficiency level. For some, this was a little grammar tip, for others it may have been about structure or vocabulary. No need for a “one-size-fits-all” grammar lesson. Students need lots of input and someone to model the language and then a chance to use the language themselves. Besides the New Jersey workshop, do you have any others coming up? Where do you live, Cybil? I live in Pittsburgh, PA. I am willing/able to travel, especially over the summer, if you have any workshops. Thanks ladies for a rich conversation, I feel so alone in my department we are not proficiency based or working towards the Common Core so I am kind of an island unto myself, this blog has saved me!